Panoramic images. They are just so important to every wedding story being told today. Today’s contemporary wedding album designs are a visual treat. Gone are the days of a single photograph being displayed on a single page of a bound album. Today’s album creations capture the editorial look of the most important wedding and fashion magazines. Two page panoramic images serve as extraordinary canvases for the photographer’s images or as phantom images (lower opacity background images) for other pictures. When shopping for the perfect wedding photographer for your unique event you need to consider so much more than the basics of things like fees. Look at the artist’s individual photographs. 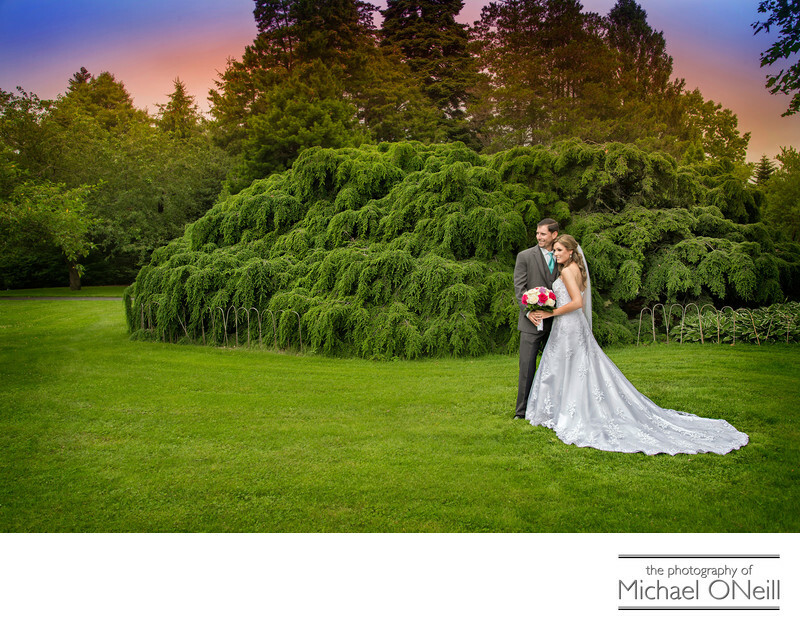 Do they fulfill your vision of the style of photography you want to remember your big day by. Look at many of the artist’s wedding album design samples. The finished presentation of your photographs should be handled in a manner that exactly meets your vision of what the story of your wedding is. Every album that leaves my studio is a unique creation based upon the pictures my clients choose to tell their story. My albums are not designed by some cookie cutter software program. You’ll see the difference immediately when you visit my gallery. Every book is different wherein every book you looked at before, at multiple studios, looked the same. Don’t trust the story telling of the most important day of your life to a computer. Trust it to the same artist who captured the images and considers the retouching, enhancement and design display of those images as part of his creative work.